Looking for a quaint and cost-effective way to unify the aesthetics of your favorite rooms? With our selection of window treatments, you are able to diversify your interior design options while keeping decorating costs manageable. Visit our flooring showroom to view our selection of blinds, shades, drapes, and curtains. With many different styles and configurations available, it is even easier to add personality and functionality to your interior spaces. “Window treatments” is a term used to collectively describe accessories and fixtures that are meant to decorate windows. They are primarily used to control the amount of natural light coming into a given space. Thanks to advances in design technology, these treatments can be used to complement the overall aesthetics of your room. So for that extra touch of class or utility, these window coverings are an excellent investment. Items like drapes and curtains are easily recognizable. Paired with a matching floor covering, these treatments unify spaces and can set the tone for places like the bedroom, dining room, kitchen, or bathroom. Did you know that they also keep your heating and cooling costs manageable? Natural light is a great way to brighten spaces. Window treatments help regulate the amount of light in your room. Likewise, the ability to control incoming sunlight also allows you to regulate heat. So during the cooler months, close the curtains to provide comfortable shade. During the winter, open them up and let the sun’s rays warm up your guests. These helpful accents put less strain on your HVAC system too, allowing you to keep energy costs low. All in all, these room accessories are practical investments. Your kitchen is one of the most-frequented spaces in the home. Add to its appeal with our kitchen window treatments. We have a wide selection of products that accommodate windows of any size and shape. So whether you have a spacious bay window or a double-hung configuration, we have the right blinds to provide easier access to your natural light controls. The bathroom is a space for solitude and comfort. Bathroom window treatments, then, are great for upholding privacy. Blinds and sliding shades are great choices for the bathroom. With many different colors, styles, and arrangements to choose from, you will have the right privacy solution to match your interior design themes. Not sure where to begin? Count on our sales representatives to provide interior design advice when you need it most. Since we stay up-to-date with the current remodeling trends, we make it even easier to select the products that best match your needs. Find your favorite floor coverings and coordinate with confidence! Since we act as a full-service flooring showroom, our location makes it easier to unify your remodeling efforts. 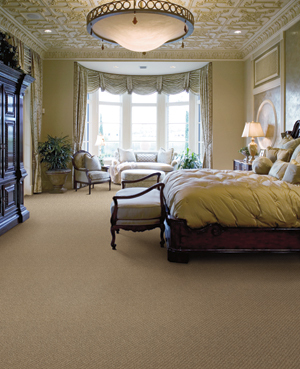 Explore our catalog of carpet, hardwood, tile, and cabinet to begin planning the interior of your dreams. Along with our dazzling selection of window treatments, you have everything you need at one convenient location. Contact our remodeling center to learn more about our selection of window treatments. We proudly serve property owners throughout Hammonton, Cape May, Vineland, Ocean City, and Atlantic City, New Jersey, as well as the surrounding areas.